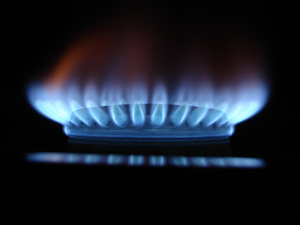 Industry regulator Ofgem has fined two gas distributors a combined total of Â£5.2 million for their failure to act in time to gas leaks that occurred during the winter of 2010, according to an article published by Citywire Money. Owner of four networks, National Grid Gas (NGG) has been given the harsher penalty of the two - being fined Â£4.3 million - while Northern Gas Networks (NGN) - which owns just one network - has been fined Â£900,000. A supporter of the upcoming Big Energy Week, Ofgem ruled that the distributors - who are responsible for delivering the gas sold by the suppliers to customers - failed to meet the regulator's targets. Gas distribution companies are expected to respond to 97 per cent of uncontrolled gas leaks within an hour, and leaks that have been brought under manageable control within two hours. Ofgem's Rachel Fletcher commented on the fine. She said: "Consumers pay for these important service standards and have a right to expect that they will be met. Today's announcement sends a clear message to energy network companies that they risk a financial penalty from Ofgem if they don't meet their obligations to continue to uphold Britain's very high standards in responding to gas escapes on time."